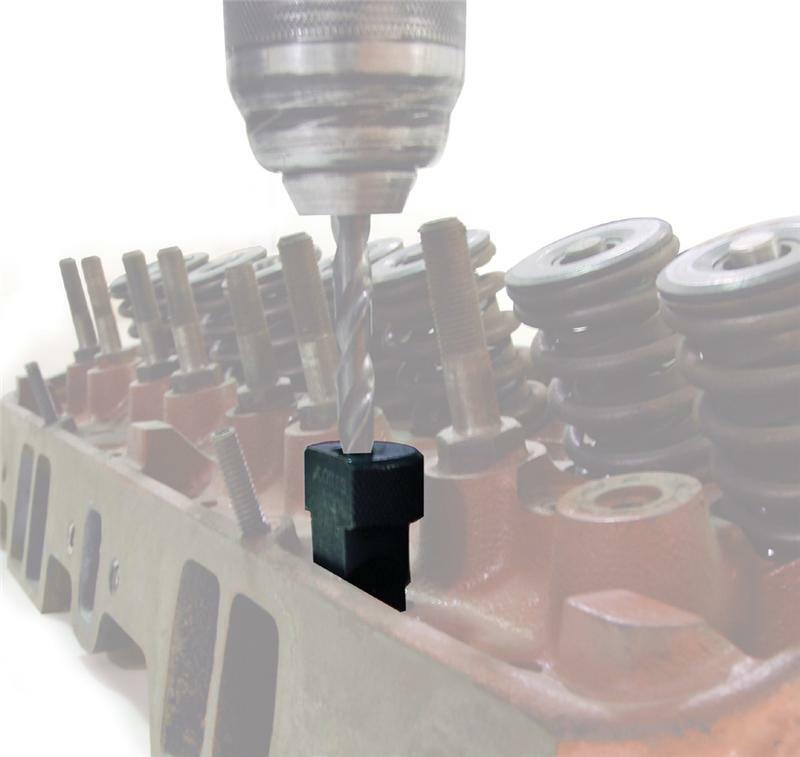 When switching factory Small Block Chevrolet heads over to 1.6 ratio rockers, the pushrod will rub on the bottom of the pushrod slot in the head. 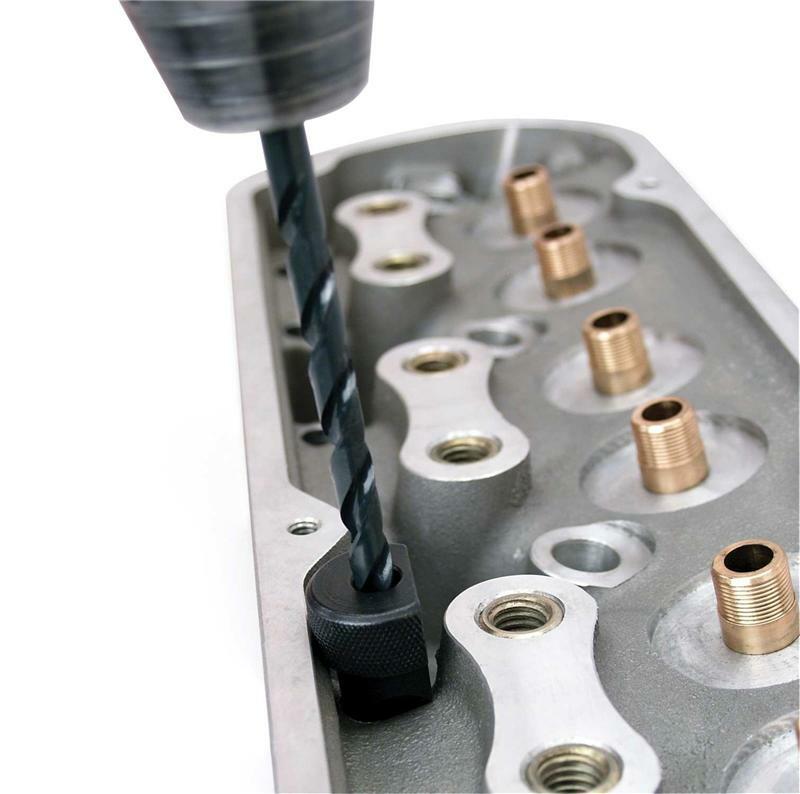 Long time cylinder head man Louis Cox designed this tool to simplify the modification needed in this situation. The tool allows use of hand drill and 5/16” drill bit to elongate the pushrod slot in the precise location and size necessary.